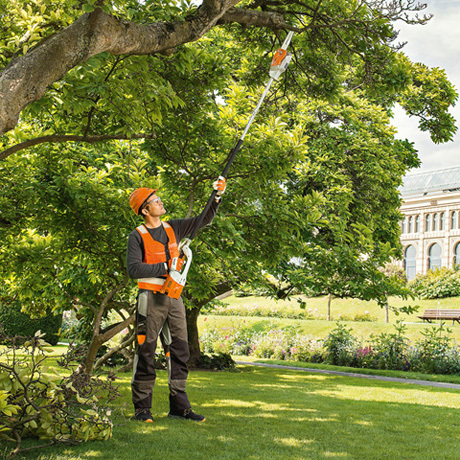 Particularly light, yet powerful, cordless pole pruner for grounds maintenance, orchards and professional tree maintenance. 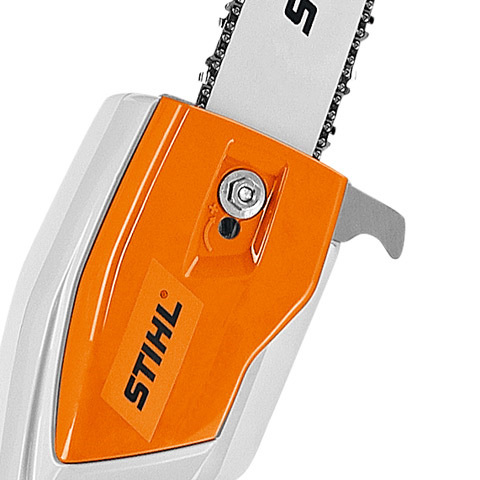 Flexible and handy, with a 1/4" PM3 saw chain for exact biting characteristics and good cutting performance, low-vibration and quiet for use in urban areas. 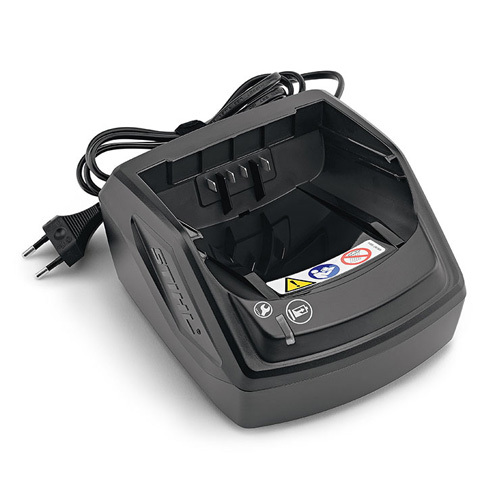 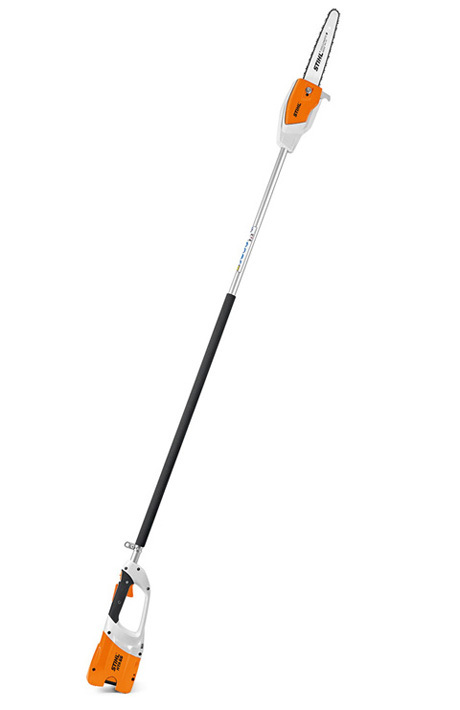 With side-mounted chain tensioning, total length 240 cm, weight 3.8 kg, without battery and charger. 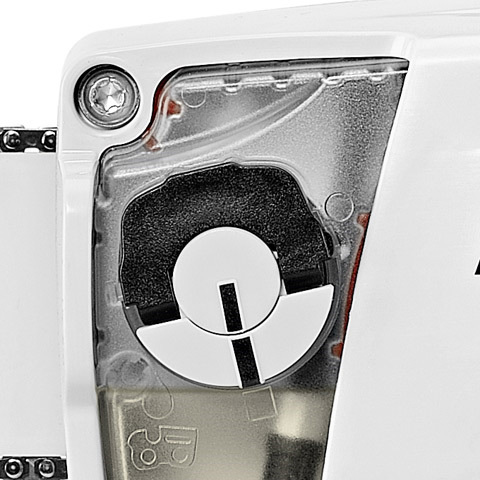 The chain tensioner is located on the side to prevent contact with the chain when adjustments are made. 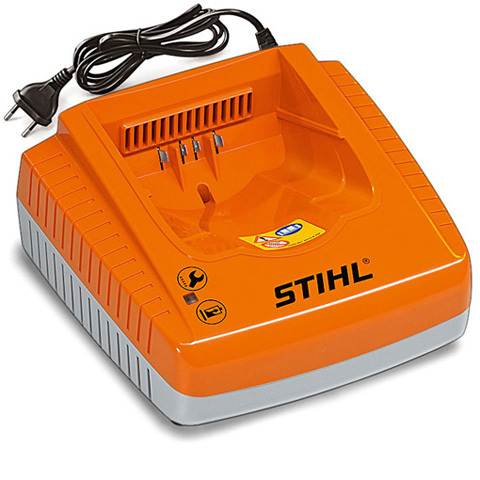 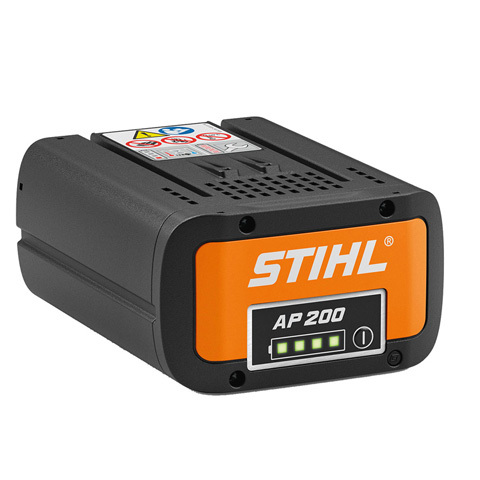 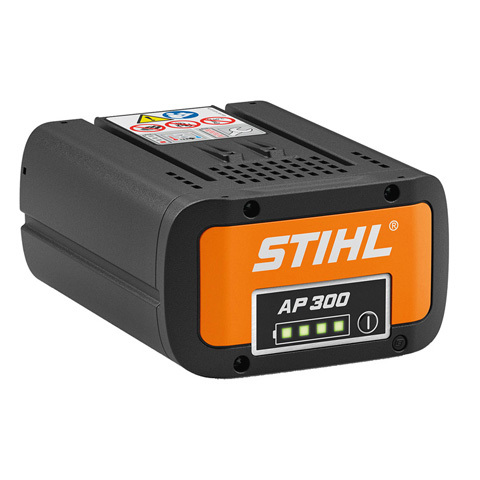 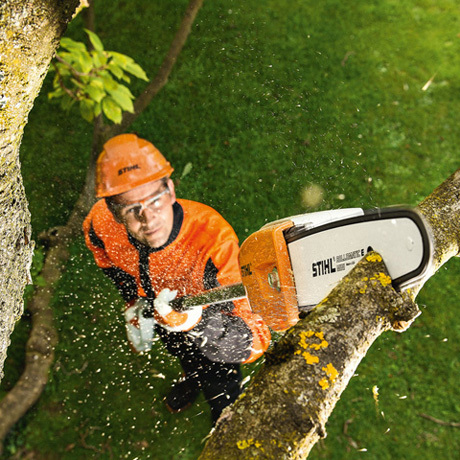 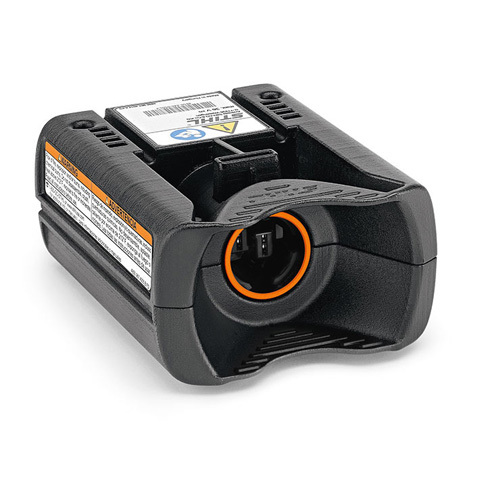 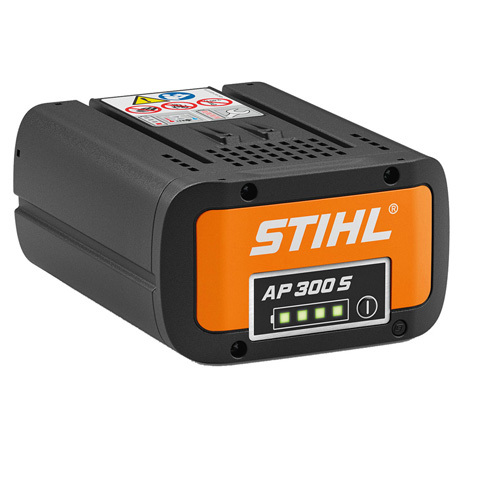 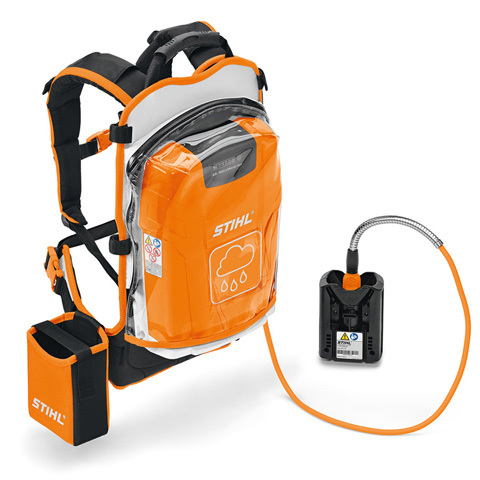 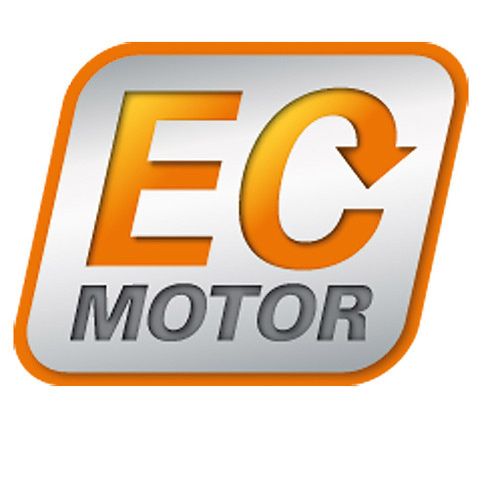 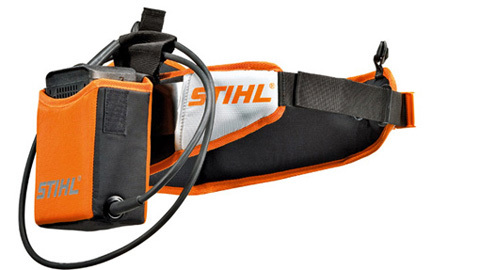 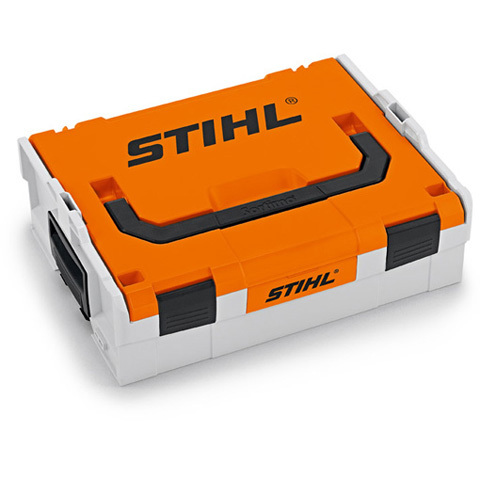 Maintenance-free, brushless and efficient STIHL EC motor ensures a longer run time in operation and increased life expectancy. 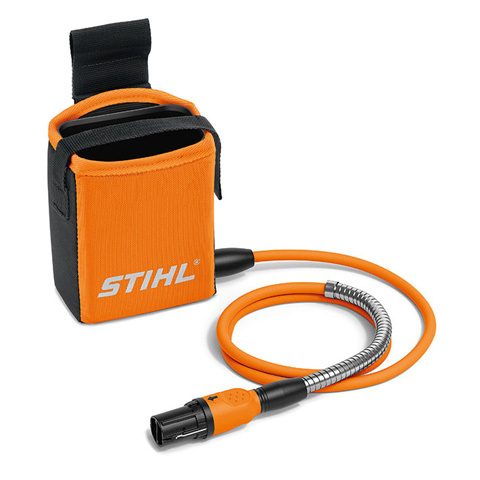 The soft handle is extremely comfortable to hold and aids grip, especially when working in damp conditions. 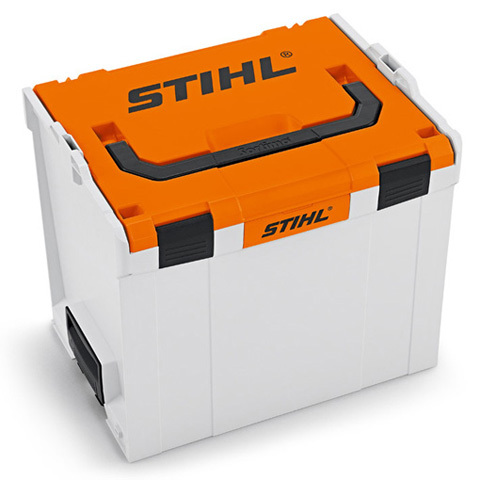 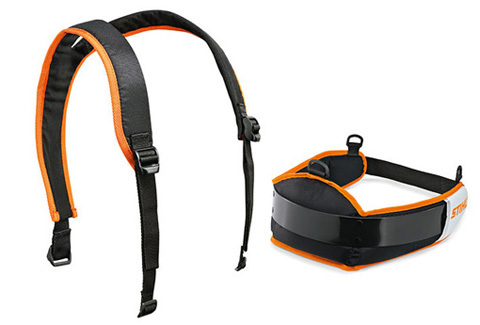 Patented cap for the oil tank, the tank can be quickly opened and closed without effort and tools.